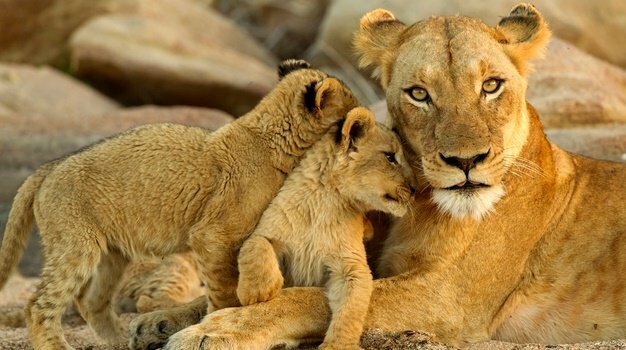 Visitors to the Kruger National Park are urged to practice caution, be aware as well as send in reports and footage of lions showing aberrant behaviours in the Kruger National Park. This follows reports from Kruger National Park (KNP) Management, that an unusually large pride of lions, north of Satara, are showing abnormal behaviour around vehicles such as the "biting of tyres. Visitors are advised to be cautious when in their vicinity. 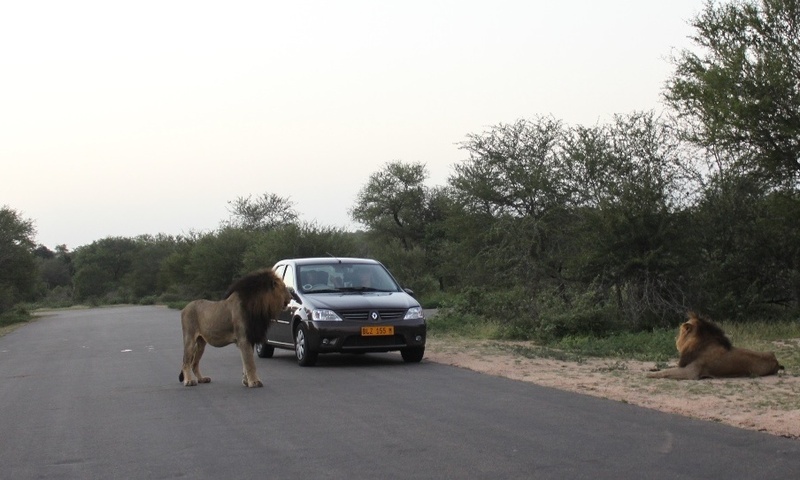 "Ensure windows remain closed and those on Open Safari Vehicles should ensure that they remain silent and keep the entirety of their body (limbs, head etc) within the structure, and relative safety, of the vehicle." KNP Managing Executive, Glenn Phillips says, “We have received information from various tourists who have witnessed this behaviour. We would like to appeal to the open safari vehicle operators specifically to be on the look-out as the behaviour of the pride is of concern and might pose danger to occupants”. Veterinary Wildlife Services is aiming to collar a member of this pride to monitor its movements and will also mark all members of the pride to allow for identification. This is where SANParks needs your help. Visitors are being encouraged to take pics of the pride and share these to SANPark’s social media platforms (Facebook, Twitter, Instagram). This will allow them to identify whether it is a specific lion being problematic or whether the entire pride has behavioural issues. Guests are requested to photograph the lions in such a way so as to capture unique identifiers, including branding marks or ear notches. However, do not put yourself in harm's way and only capture footage if it is safe to do so. “We also request visitors not to get too close to any animals for footage at a sighting, or refrain from placing any items on the vehicle exterior or tyres which might attract and encourage animals to approach the vehicle," says Phillips. Visitors can also report these to the Emergency Call Centres on 013 735 4064, 013 735 0197 and 076 801 9679.